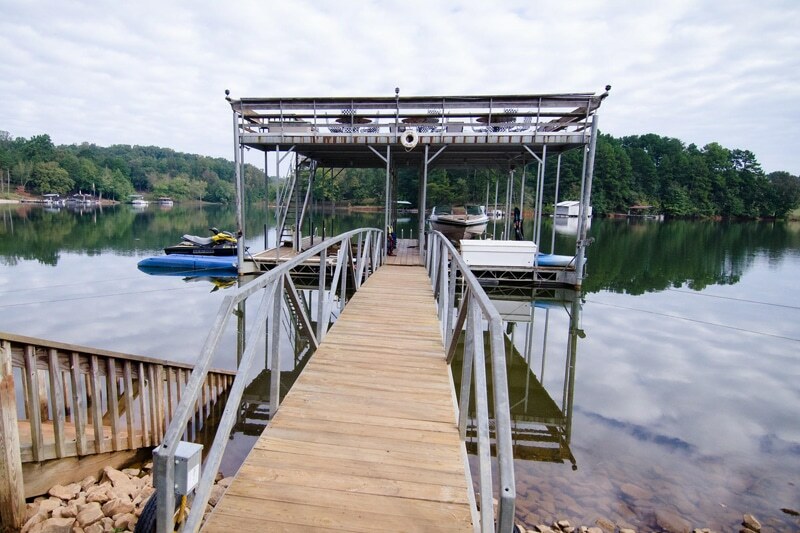 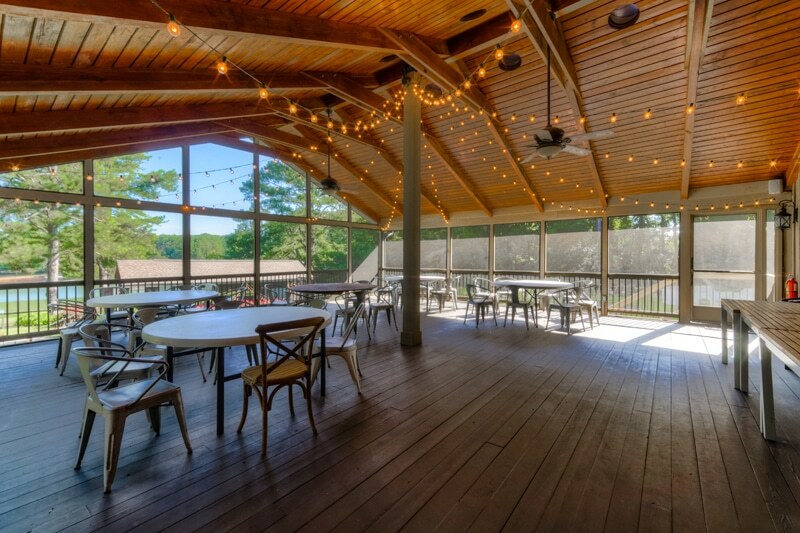 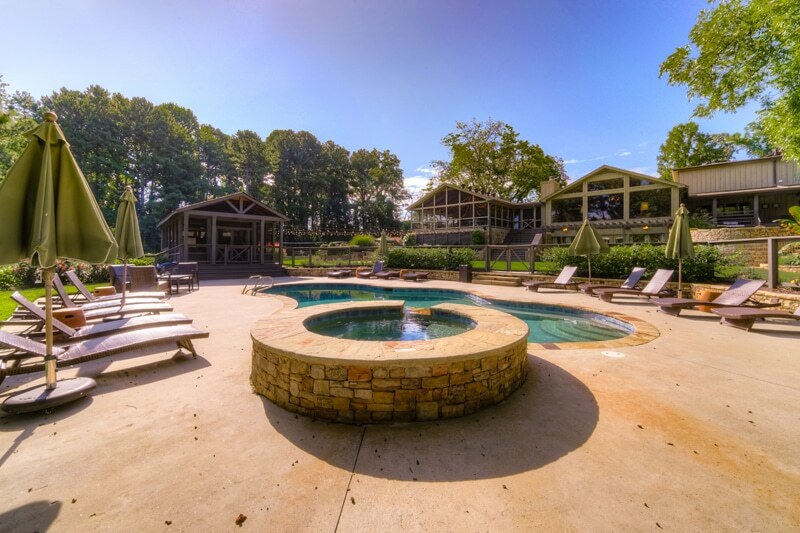 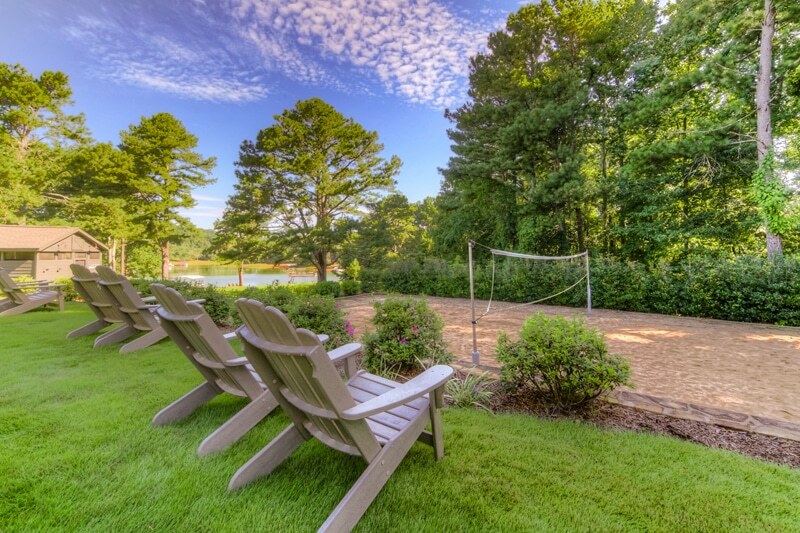 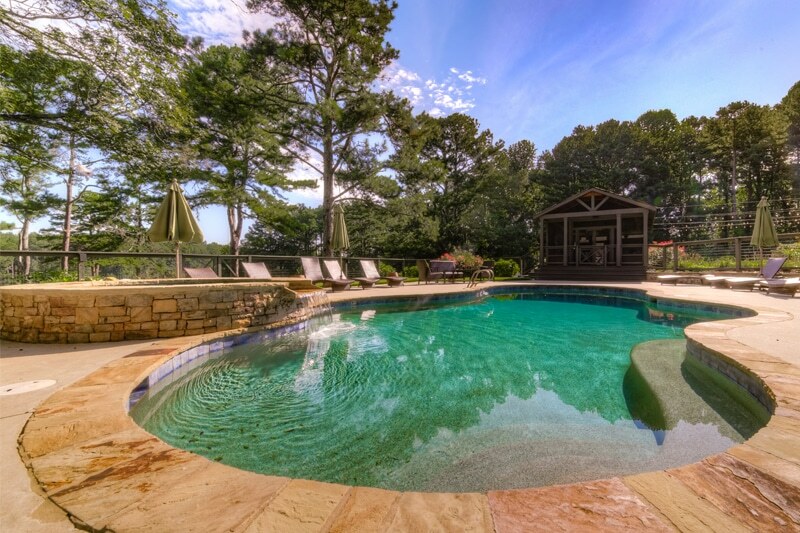 Check out the impressive list of amenities you’ll find at the Ark on Lake Lanier. 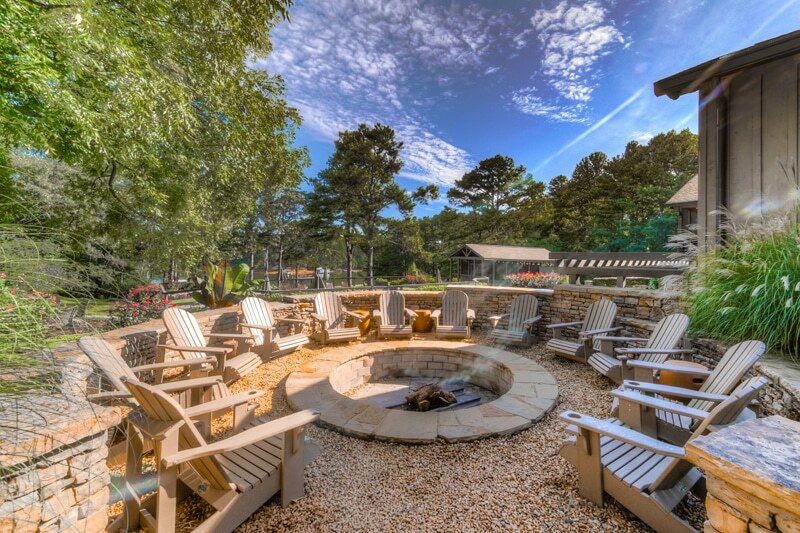 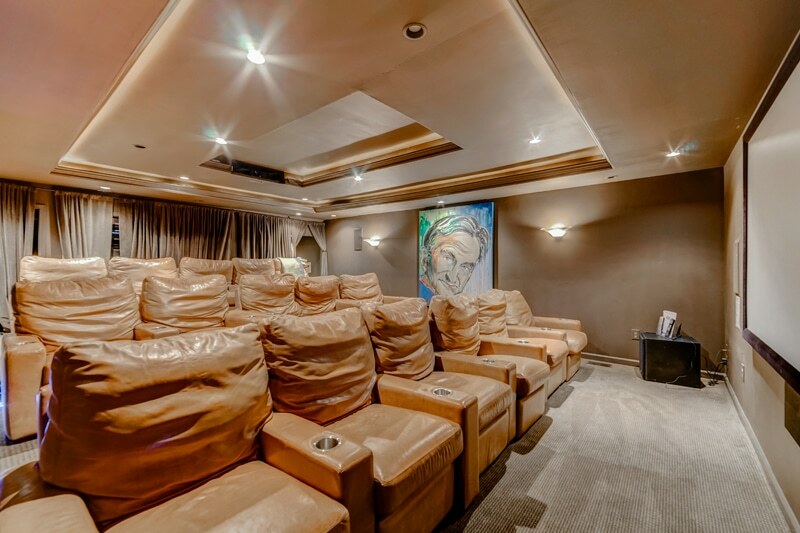 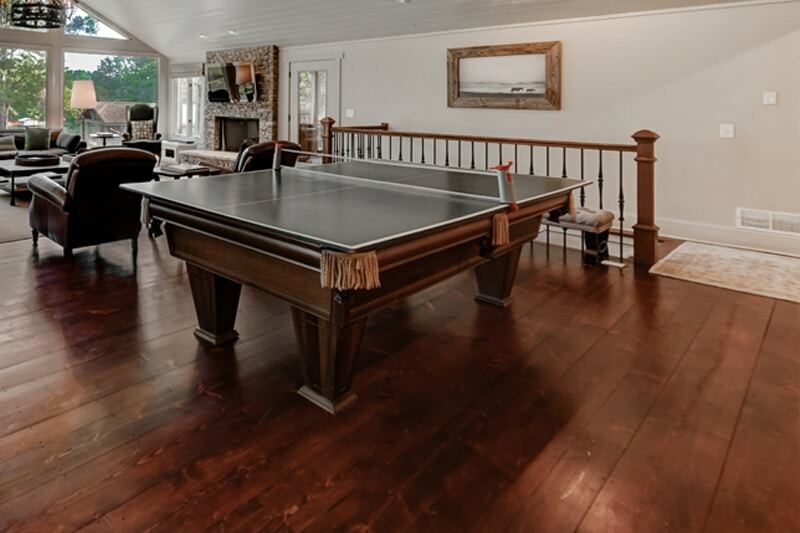 Our beautiful facility offers a pool, hot tub, separate pool house, large fire pit, full size lighted volleyball court, tether ball, corn hole boards, croquet, small basketball court, frisbee golf targets (bring your own discs), access to a ski boat and jet skis as well as a 16 seat home theater. 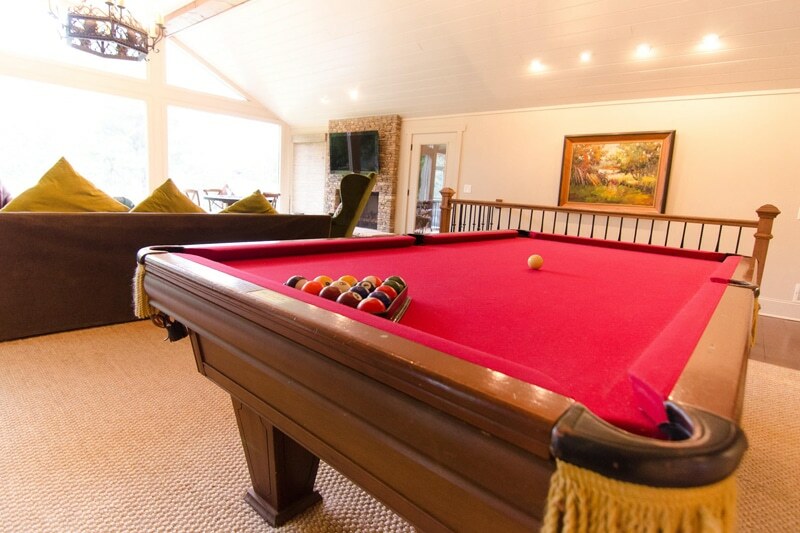 Bring your own video game consoles to hook up to any of the TVs. 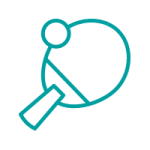 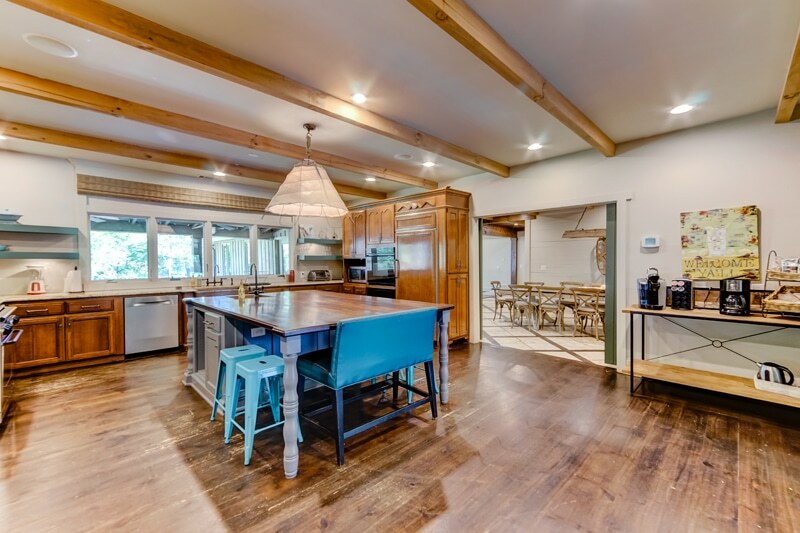 There is a large covered porch and over-sized chef’s kitchen, with a large pantry area to store all of your food and coolers, including three full size refrigerators/freezers.